Transform your backyard into a personal oasis. Cypress Landscape in Westport, Connecticut, offers regular lawn care and landscape design for all residential & commercial properties. Add curb appeal to your property with our regular landscape maintenance and design programs. Our residential and commercial services provide our clients with timely, trustworthy, and high-quality landscaping at competitive pricing. 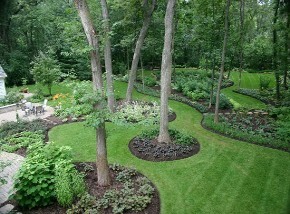 We work with each client individually to make your landscaping dream a reality. Our customers are extremely satisfied with the work we perform and our talented designers are able to develop a personalized layout even if you are unsure of what you want. Contact us to have the backyard of your dreams.